We recently connected with Izzy’s mother and learned about Izzy’s fight. Izzy is a 2 year old little boy who was bit by a brown recluse spider, in August 2012, in his ear, and has been fighting for his life against major infections, including sepsis. We are in awe of how brave Izzy is, and we pray that soon he will be completely free of the complications brought on from this horrible insect bite. 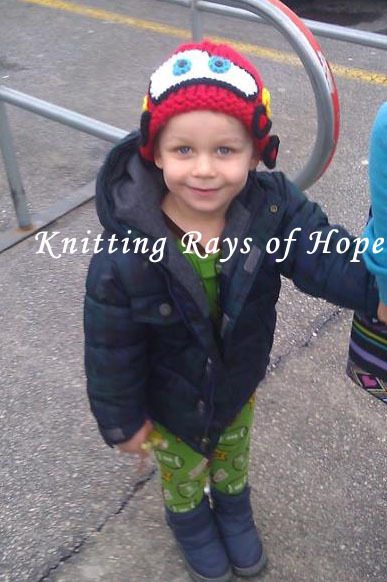 To learn more about Izzy, or to show support and send prayers, please visit Izzy’s facebook page (link) and be sure to tell them that Knitting Rays of Hope sent you. We found out that Izzy loves Lightening McQueen and thought even though it seemed like a difficult task, we were up for a challenge. We had to research what the perfect Lightening McQueen hat should look like. A hard task, given that it needed to be perfect for such a magnificent little boy. Then we had to execute our plan perfectly. I have to say the first execution was not up to standard, but thankfully, I think we got it right on the second attempt. 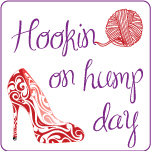 I made a red hat on the loom and then crocheted the windshield, eyes, wheels and lightening bolts. Vanessa is my official seamstress, who sews all the embellishments onto the hat. The hat came out really cute, and we are very proud of the final result. Here are some pictures that Izzy’s mom took. 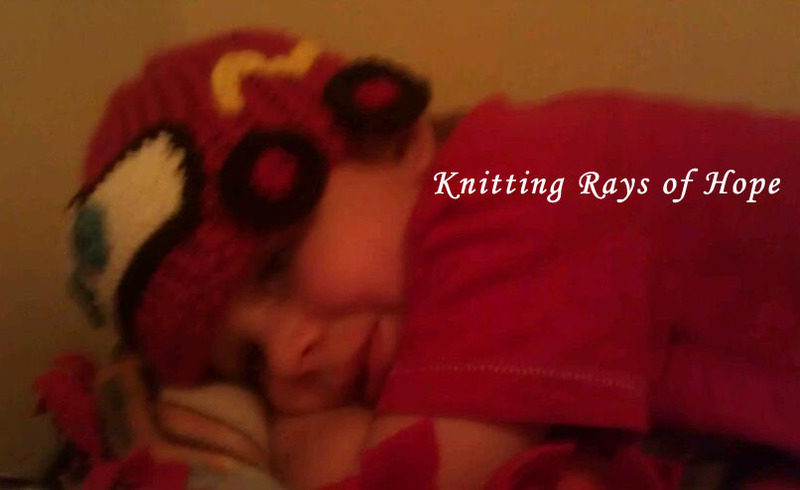 In fact, she took many pictures of Izzy modeling the hat, but as busy as little boys are, these are the 2 best shots. 🙂 I am just so happy that Izzy is busy, given what he is recovering from. Isn’t Izzy adorable in the Cars hat? I love how we are growing. We started this grassroots effort making chemo hats for adult chemo warriors, when I witnessed a shortage of them during my sister-in-law’s chemo sessions. We quickly expanded to include children chemo patients, and then a nurse informed us that babies in the NICU really need hats too. We have recently started receiving special requests for children who are bravely fighting congenital disorders, cancers, undiagnosed issues and spider bites. I think it’s a natural flow for our team and am proud that we can expand to spread hope to all of these brave warriors! PS- I just participated in a Link Up Party on Moogly with Izzy’s Cars Hat.